Although Utah has plenty of indoor and outdoor family activities, the outdoor activities are where Utah shines brightest. 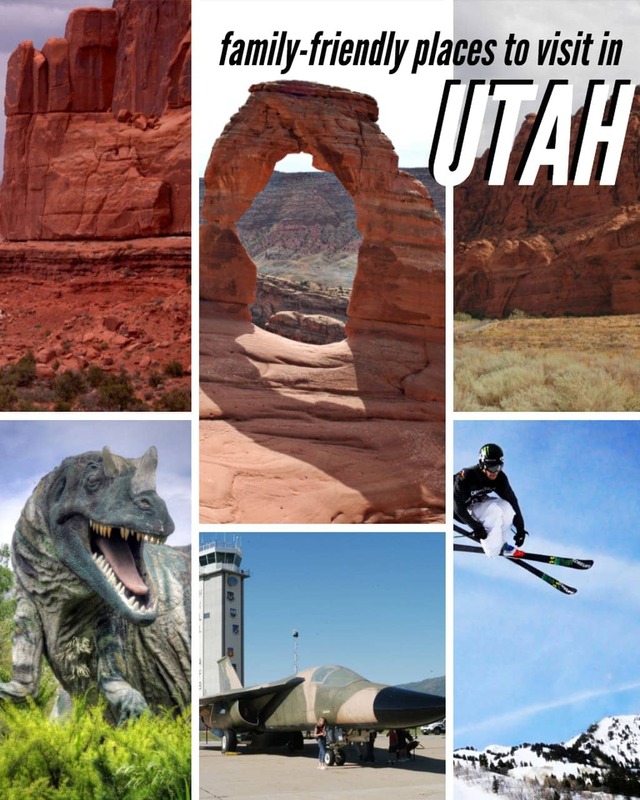 Regardless of your interests, it’s likely that Utah has something your entire family will enjoy. I have been a Utah native my whole life. Although Utah is best known as the home of our five national parks, Utah has so much more to offer. Whatever the season, you will find activities that fit almost every age group. We currently have a one- and three-year-old, so we don’t do any serious hiking but there are still places that we can take our kiddos for fun. If you’re looking for family-friendly activities to do in Utah – you will not be disappointed. Park City is a nice little skiing town forty minutes out of Salt Lake City. 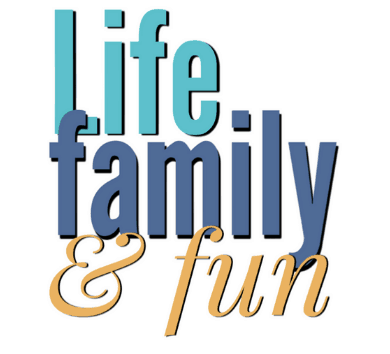 You will find there is a multitude of outdoor family-friendly activities – some of our favorites are listed below. Although Deer Valley is known as the number #1 ski resort in Northern America, they have plenty of summer family-friendly activities as well. If you choose to stay at one of Deer Valley’s properties, you can get discounted lodging and lift ticket packages for your stay. If you want to go skiing without the kiddos, you can leave your kids supervised in the state-licensed childcare facility, where they can participate in numerous activities. Family snowshoeing with smores, snowmobiling, and hot-air ballooning are other activities offered in the winter. Don’t forget to bring your ski pants and ski gear! Take your family hiking, on a scenic chair lift ride, mountain biking, horseback riding, or fly-fishing. Kids can attend a Summer Adventure Camp based out of the Children’s Center. Some of the activities at your kid’s next summer camp include hillside playgrounds, a bouldering climbing wall, as well as crafts, games, puzzles, and books. 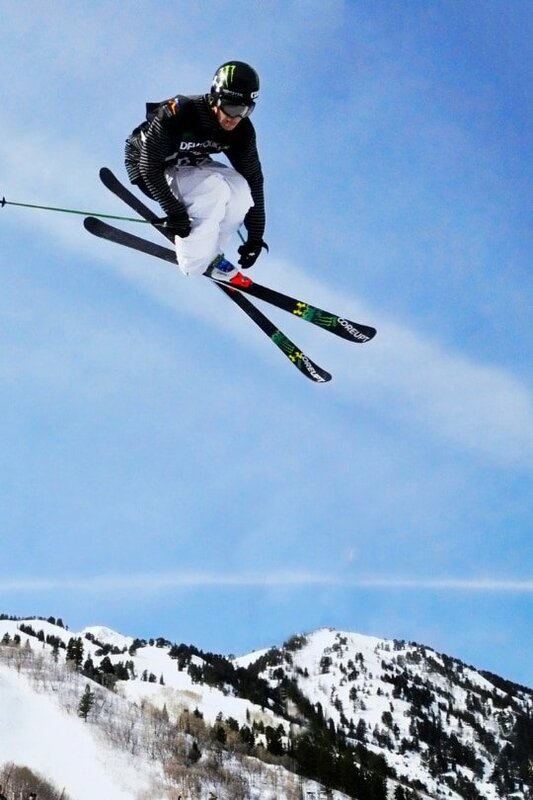 The Utah Olympic Park is managed by the Utah Olympic Legacy Foundation, which is a non-profit 501 ©(3) organization that maintains the Olympic facilities so that people of all ages can watch, learn, and excel in winter sports. Personally, I think it’s really neat to walk around in this place. The staff offer tours where you can learn more about the Olympics, and ride a shuttle bus to the top of the world’s highest Nordic ski jumps. #tbt to every Thursday this winter so far. This facility offers many activities in both summer and winter. Bobsledding is available in both seasons (the blades are replaced with wheels in the summer), as well as a ride on the Alpine Slide, Ziplining, or rope courses. Although Park City is most well-known for its outdoor activities, you should take some time to walk around town. Historic main street boasts entertainment such as an old Egyptian theatre, diverse food options, a museum, and numerous shops. Park City is also known for its diverse culture. Any independent movie enthusiast will tell you that Park City takes a huge part in the yearly Sundance Festival, a film festival that brings loads of celebrities during the summer. If you’re traveling to Utah in the winter months, Midway’s Ice Castles are definitely worth stopping at. Midway is a small town that does not boast any other specific attraction, but it’s only a half hour out of Park City. The ice castles are a frozen attraction built with hundreds of thousands of icicles that are hand-placed by professional ice artists. We took our two kids this year and they had a lot of fun, although I recommend bundling up because it is very cold! Timpanogos Cave is in American Fork Canyon, which has a variety of different activities. I first toured the Timpanogos Cave tour when I was around ten, so it’s something your older kids will be able to do. The hike is pretty long, although it’s paved all the way up. 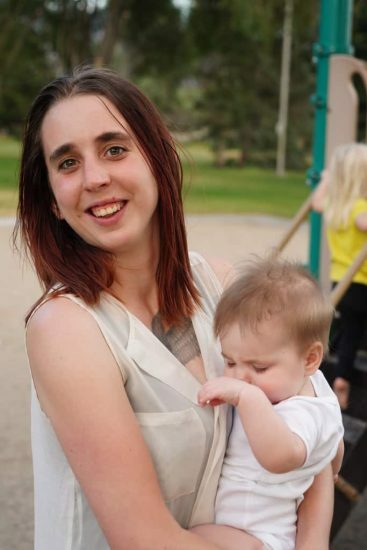 I would do some research before deciding to take young children, because it may not be a good fit for your family. 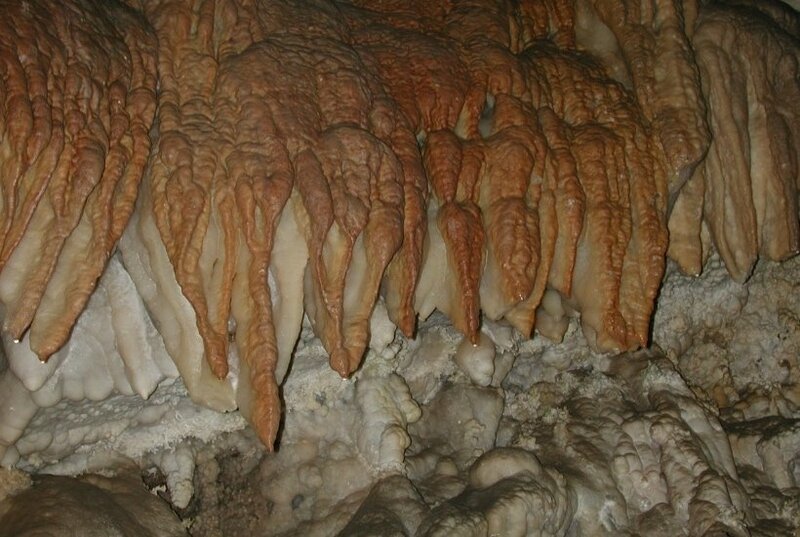 There are 42 types of cave formations, and it features beautiful and rare colors. You must enter the caves with a tour guide, and you cannot bring food or drink into the caves. Hogle Zoo has more than 800 animals and is one of the most visited attractions in Utah. This Zoo has been accredited by the Association of Zoos and Aquariums, which is a pretty big deal because only ten percent of zoos in the U.S. have been recognized with this illustrious credit. It’s not too late to head to the zoo and enjoy the animals in the snow! Just bundle up 🤗 (Yes, Nora is still doing fine). We have carried a season pass to the Zoo since my oldest was a baby. The well-paved pathways are very stroller friendly, and the zoo sports tons of things to do. My oldest has just started taking an interest in the animals, but before that she loved the large playground, carousel, train ride, and splash pad that are also on Zoo grounds. Red Butte Garden is an official arboretum and is a part of the University of Utah. It is the largest botanical garden in the Intermountain West with over 21 acres of gardens and five miles of hiking trails. This place is gorgeous during the warm months, and spring and fall tend to be the most colorful. If you plan to stop by in the summer, make sure you go in the evening because summers are very warm. Zion is one of Utah’s “big 5” national parks. If you decide you want to take your family to visit Zion, you should consider making a day of it (at least!). There are plenty of hikes at all skill levels, so you’ll have your pick of something easy if you are towing small kids. Zion is famous for its gorgeous scenery. You will find waterfalls, pools, springs, arches, vistas, and Navajo sandstone. The Narrows is a popular site for many visitors to hike, as you are hiking in a gorge with thousand feet tall walls and a river only thirty feet wide. There is a wheelchair accessible trail for a mile up the narrows, but eventually, you will have to walk in the river – so this is definitely something that can’t be done with small children. If hiking isn’t your thing (or you don’t want to try it with young children) Zion Canyon’s Scenic Drive exhibits breathtaking vistas and phenomenal photo opportunities. Roads are closed to vehicular traffic from April to October, but you can take a shuttle bus. Canyoneering, rock climbing, and camping are all available activities to do in Zion. If you are staying in the St. George area, the Tuacahn Theater is definitely something you don’t want to miss. The Tuacahn is a musical theater venue where they hold musicals, concerts, and showcasing actors and musicians. The Tuacahn is a very large outdoor theatre right at the mouth of a canyon. My family has been seriously impressed with every single show we have seen here. If you have ever seen more than a few Utah license plates, you have probably seen Delicate Arch. It is probably the most famous natural arch formation in the world – and it’s definitely something you will want to see. The one-and-a-half-mile hike can be a bit strenuous, although I handled it fine as a nine-year-old. There is absolutely no shade and it gets very hot in the summertime. So bring your sunscreen. 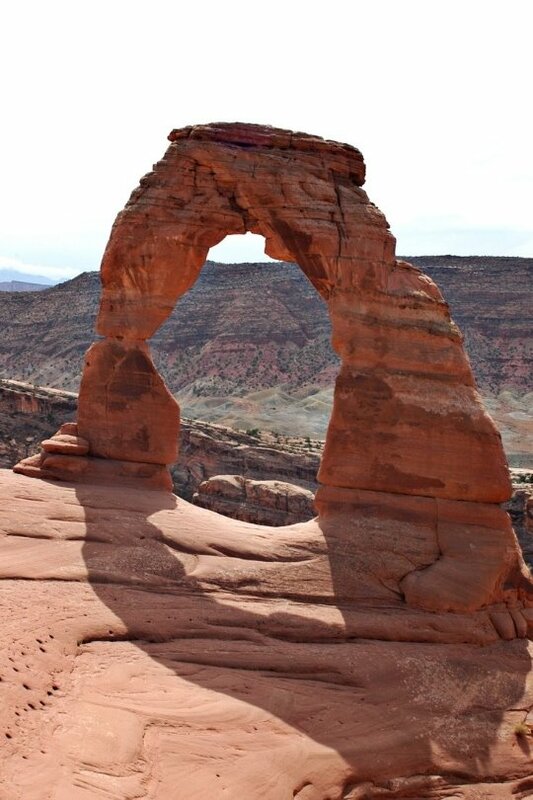 If you don’t want to walk three miles round trip to reach the arch itself, there is a short drive you can take to the Upper Delicate Arch viewpoint. It shows a different (and further) view of the arch, but the hike is much shorter. Overall, we were disappointed by how little we could see when we tried this, but it’s a better option than not going at all—particularly if the strenuous hike is simply not an option for you. If you don’t have a lot of interest in seeing Delicate Arch, there are plenty of other amazing rock formations within easy walking distance from the road. Arches is another national park that you will want to make a day of, because it’s huge and it will be impossible to get through it all in a few hours. Canyonlands is a short drive from Arches National Park. This park is more diverse in its landscape and it’s much bigger than Arches. 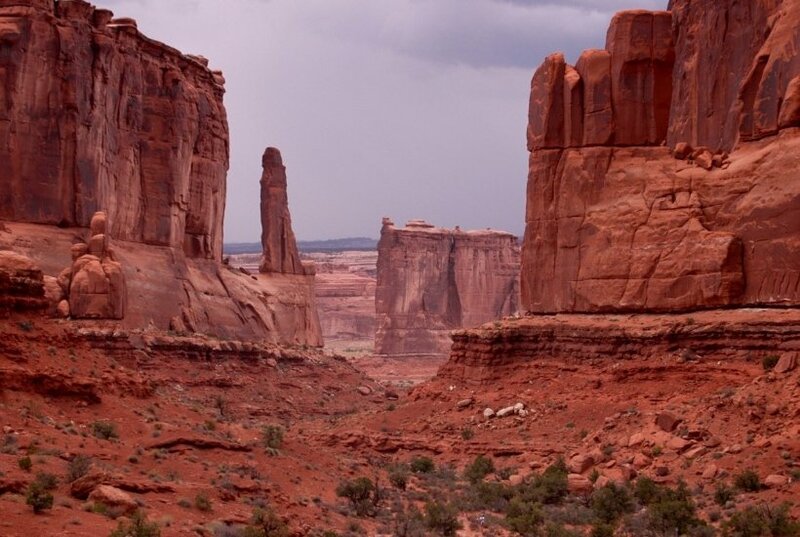 There are fewer visitors to Canyonlands (half the amount), so it’s a great option if you are interested in exploring and appreciating a more rugged scenery with fewer people. Traveling in Canyonlands can be more difficult, as there are not as many roads as Arches or ways to get around the park. Most of the hikes are a little more difficult, but you will be rewarded with gorgeous sites all around you. Bryce is located about 2 and a half hours from Zion, so many people will see both canyons together. Bryce Canyon’s elevation reaches over 9000 feet, so it can get pretty cold during non-summer months and at night. If you decide to go to Bryce, make sure you bring extra layers for the whole family. The thing that makes Bryce unique is that there are a number of different hoodoos, which are tall and thin spires of rock that protrude from the ground. Although these are seen in other parts of the world, there are more in Bryce than anywhere else in the world. Camping is an option, but spaces fill up pretty fast. Personally, our favorite place was Sunset Point, which is where you can get a great view of the hoodoos. Capitol Reef tends to hide under the radar, and is visited less than any of Utah’s other national parks. There are definitely neat things to see here – and it’s the best option if you prefer to not be around a lot of people. There are orchards that were built by the pioneers who settled Utah, and your family is welcome to pick and eat any fruit from an unlocked orchard. If you want to take it out, you have to pay but you can eat as much as you want while still in the orchard. Keep in mind this is seasonal – so don’t mention it to the kids unless you’ve checked that it’s available. 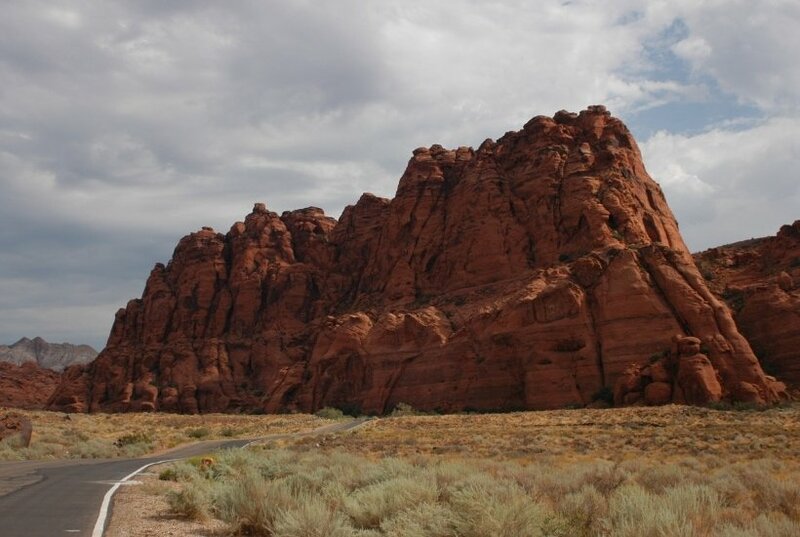 There are plenty of scenic drives, hikes, and petroglyphs. Lagoon is Utah’s outdoor theme park, and it’s getting more impressive every year. They are constantly releasing rides that are better than the last. Ready for #takeoff??? Lagoon will be open today from 10am – 7pm! . . . #lagoonpark #lagoon #utah #family #fun #rocket #blastoff #reentry #therocket *Hours weather and other factors permitting. A downside to Lagoon is it is one of the most expensive family-friendly activities in Utah – but if your family is full of thrill-seekers, it may be worth it to you. You have a wide variety of rides to choose from – from an impressively large kiddie area to tons of roller coasters that will turn you upside down. Ogden city has a lot of really interesting history – and the natives are proud of their town. Before you head into Ogden, check out the city’s website or Facebook page for events that are coming up. There is usually something going on for each holiday. Often, the city will close down their historic 25th street (home to a lot of neat stores and old buildings) to hold events there. Some of these include the Zombie Walk around Halloween and the sled race down the main street in the winter time. 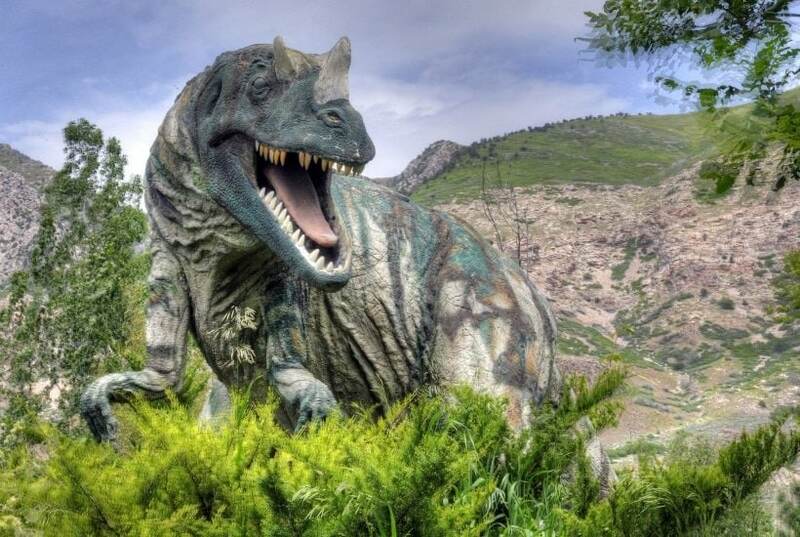 Ogden’s Dinosaur Park is a great Utah family activity. There is both an indoor and an outdoor section. My kids are still rather young, so they don’t have a lot of appreciation for learning about different rock sediments and dinosaur bones. This park also boasts a neat outdoor playground and plenty of life-sized dinosaurs outside. Overall, it’s an inexpensive and beautiful place to spend a few hours. Growing up, I lived less than 5 minutes away from the air force museum, so it was a place I frequented often when I was growing up. 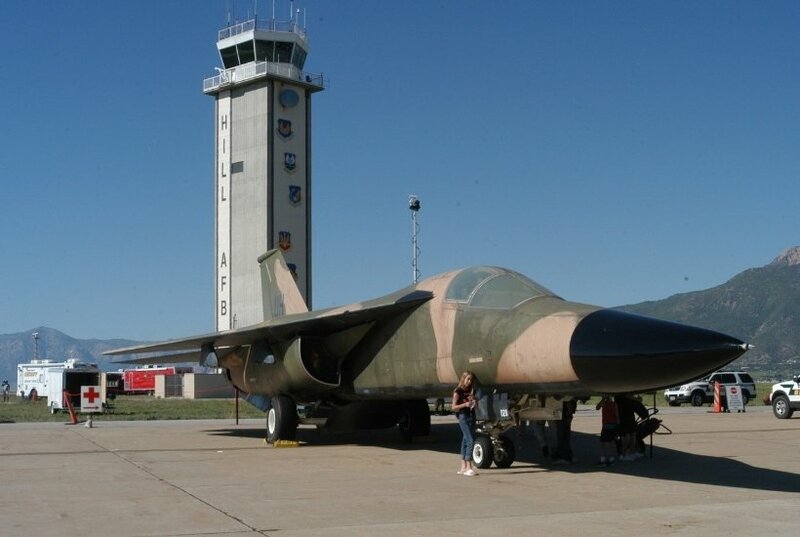 Here you can learn about the history of the air force, as well as see planes that were used in previous generations. Every year, they hold an airshow, so be sure to check out whether it’s going on. Overall, this may not be the best place for young kids, but kids that enjoy planes or history will love this museum. As you can see, you will not run out of outdoor family-friendly activities in Utah. Even if you aren’t a super active family, there are plenty of gorgeous sites and places to go to that don’t require a lot of physical exertion. Have a great trip! Audrey is a married mom of two who loves helping other moms build confidence in motherhood. She enjoys cats, coffee, and wandering Target alone in her free time. Follow her at mommyenlightened.com. You can also find her on Facebook, Instagram, or Twitter. 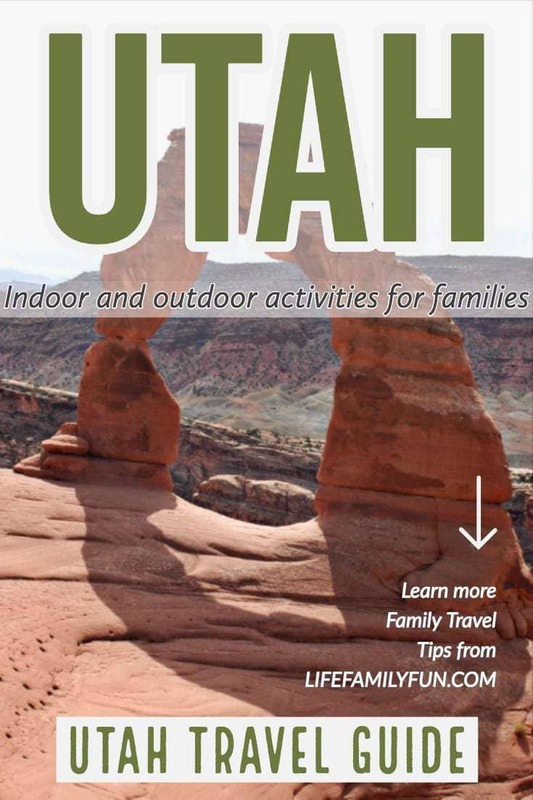 Although Utah has plenty of indoor and outdoor family activities, the outdoor ones are where Utah shines brightest. Although Utah is best known as the home of our five national parks, Utah has so much more to offer.